Mercury-Scout 1 (MS 1) or MNTV (Mercury Network Test vehicle) was to provide a dynamic checkout of the Mercury tracking network. 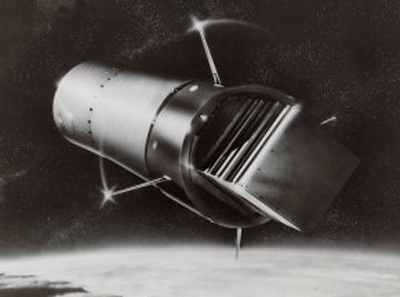 A small rectangular box held the payload, which consisted of a C- and S-band beacon, two minitrack beacons, two command receivers, and two telemetry transmitters, all with antennas; a 1500 watt-hour battery; and the fourth-stage instrumentation package. The payload was to remain attached to the fourth stage of the launch vehicle and the equipment was to function for 18 ½ hours in orbit. To conserve electrical power while in flight, the equipment would be turned off by a ground command after the first three orbits. During shutdown, the results would be analyzed, and the equipment would then be activated to make another three-orbit data collection. The planners felt that by repeating the shutdown and reactivation operation they could obtain data equivalent to three full missions, gather a wealth of information for comparison, and give the DOD and NASA trackers a good workout. Immediately after liftoff, the vehicle developed erratic motions, and after 28 seconds the booster began tearing apart. The range safety officer gave the destruct signal 43 seconds after launch. The launch vehicle for the mission was an Air Force Blue Scout-2 rocket. MS-1 was launched at Cape Canaveral from LC-18B on a true azimuth heading of 72.2 degrees east of north, aiming at an apogee of about 400 miles and a perigee of about 232 miles.